A very well presented spacious detached family home offering generous and versatile accommodation. The property has been comprehensively extended on the ground level, accommodation comprises entrance porch, entrance hall, ground floor WC, lounge, dining room, kitchen, three further reception rooms, ground floor bedroom and shower room. With little work this space could potentially be isolated as an annex. The first floor offers three double bedrooms and bathroom. 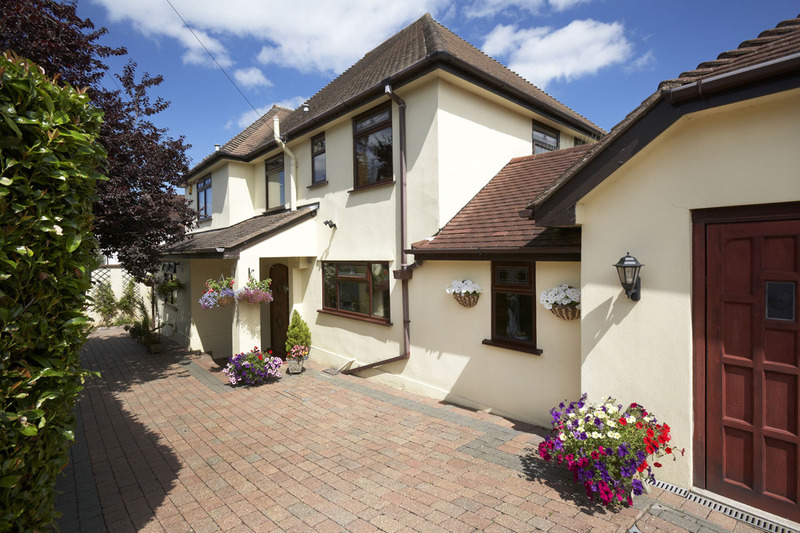 Externally the property benefits from front and rear gardens with stunning sea views. To the front there is off-road parking for several vehicles and double garage with internal access to the property. Conveniently located within close proximity for local shops in Barton Hill Road and with a bus service, The Willows shopping centre for comprehensive facilities is just a ten minute drive away. Good local schools are within easy travelling distance and access to the motorway network at Penn Inn is relatively easy via the shortcut St Marychurch Road. Impressive sea and coastal views from this extended and remodelled Detached Family Residence | Entrance Hall with timber flooring | 2 Ground Floor Double Bedrooms | Lounge | Open plan granite fitted kitchen/dining/family room | Study | Utility Room | Part garage storage | Landing | 3 Further Bedrooms | Master Bedroom with fitted wardrobes and impressive sea views with sun terrace/balcony | Further Shower Room | Family Bathroom on the ground floor | Studio apartment under | Off Road Parking for several vehicles | Enclosed sun terrace with sunken hot tub | Level lawned gardens | Impressive open sea and coastal views | Gas Central Heating | Double Glazing. Superbly Presented Detached House with Panoramic sea and coastal views | Entrance Porch | Reception Hallway with Oak flooring and staircase | Cloakroom/W.C | Spacious Lounge with sea view | Formal Dining Room | Family Room | Sun Lounge | Spectacular Views | Fitted Kitchen/Breakfast Room | Large Landing | 4 Bedrooms (master en-suite shower room/W.C) | Rear Sun Terrace accessed from Bedrooms 1&2 | Family Bathroom | Double Garage | Ample Driveway Parking | Basement Workshop | Landscaped and enclosed rear gardens with stunning views | Gas Central Heating | UPVC Double Glazing | Viewing Highly Recommended. This superbly presented four/five bedroomed 1930s detached house located within a sought after position on Dartmouth Road affords spectacular views over the surrounding coastline, Dartmouth steam railway and out to sea. Local facilities include a parade of shops, library and bus service are within two hundred yards. Broadsands beach is approximately half a mile distant and the village of Galmpton leading down to the River Dart is also very close by. Features of the accommodation include and entrance vestibule plus a spacious reception hall with original staircase and oak stripped flooring and staircase, a bay windowed lounge affording stunning sea and coastal views, a separate family room which could be utilised as a fifth bedroom, a formal dining room which opens to a sun lounge, again enjoying spectacular sea and coastal views. 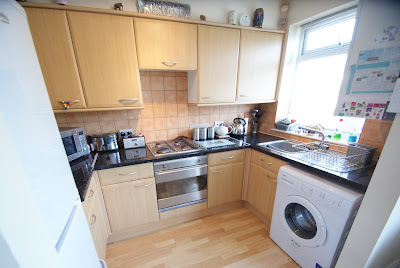 Also on the ground floor there is a quality fitted kitchen/breakfast room plus cloakroom/W.C. 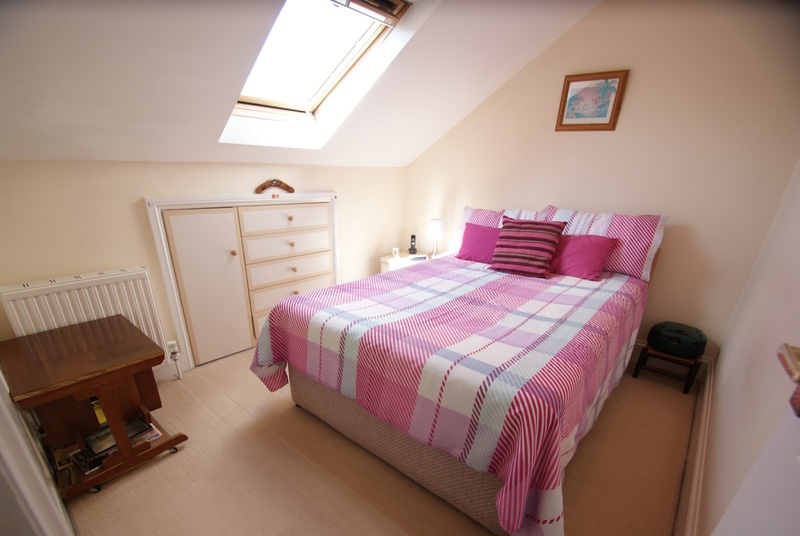 On the first floor there is a large landing, master bedroom with en-suite shower room/W.C, three further bedrooms and a recently re-fitted family bathroom. Outside the property has ample parking on a brick paved driveway which leads to a large double garage with utility area and fine sea views. To the rear of the property is a landscaped garden arranged in three main level sections and which again enjoy some fine sea and coastal views. There is also access from the garden to a large basement workshop. The property is a credit to the vendor and an internal inspection of this gas central heated and UPVC double glazed accommodation is highly recommended to fully appreciate the size and condition of the accommodation and also the views on offer. 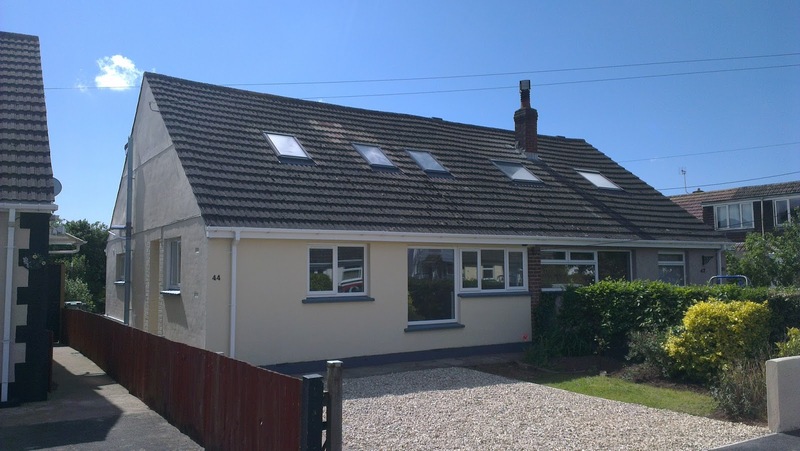 A semi-detached bungalow in a convenient and accessible location in the popular village of Kingsteignton. 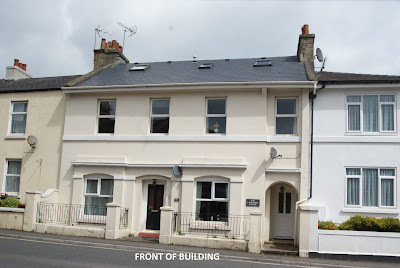 The property has undergone a programme of refurbishment work to provide stylish family accommodation arranged over two floors. The property is further complimented throughout with uPVC double glazed windows and doors and gas central heating. Externally are gardens to the front and rear, off-road parking for two vehicles and a viewing is highly recommended in order to appreciate the accommodation on offer. Kingsteignton offers a range of everyday amenities, including primary and secondary schools, local shops, retail park for Next, Boots etc. outdoor swimming pool. It is also conveniently located for the A380 for Torquay and Exeter. The 1930's bay fronted property has recently been painted throughout now enjoys light , bright airy accommodation with white walls, skirting's and ceilings and recently re-carpeted with neutral flooring. The accommodation comprises of an entrance hall, open plan lounge/dining room, kitchen, ground floor cloakroom. On the first floor are three generous bedrooms, bathroom. The front of the property there is a small elevated garden with a short flight of steps to the front door. 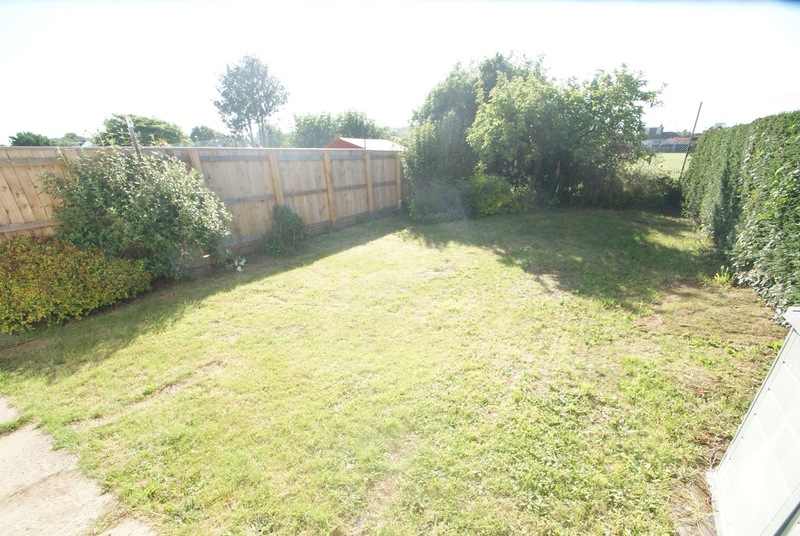 The rear garden is approximately 19' x 16' Local amenities are close at hand to the bottom of York Road with local convenience store and York road is situated within walking distance of the town centre. Ready for immediate occupation and offered for sale with no onward chain. Many thanks to you and your staff for a very superior and professional service. Throughout the whole sales process i felt fully informed and in touch with developments. This was greatly appreciated considering I live over 200 miles away. It was also a relief for me to know you and your team could keep an eye on the house, especially during the cold winter months. Superbly presented 2 bedroom purpose built ground floor apartment on the level in a central location | Own exterior doorway | Hallway | Lounge | Kitchen | 2 Bedrooms | Shower room/WC | uPVC double glazing | Gas central heating | Garage. This superbly presented two bedroomed ground floor purpose built apartment occupies a level postilion in a very central location within easy reach of Victoria Park and the town centre and various means of transport. The flat has been improved by the present owner to a very high standard and viewing inside is strongly recommended. The accommodation is laid out for ease of maintenance and has the benefit of gas fired central heating and uPVC double glazing. A feature of this particular flat is that there are patio doors from the lounge and one of the bedrooms that look out onto a small section of maintained gardens which gives a very attractive outlook yet still retaining privacy because this section of garden has been predominantly used by the owner of this flat. Another feature of this property is that it has its' own external door so there is no shared access arrangement needed. There is a private numbered single garage with this flat which is situated within the courtyard of this small selected development. Singmore House is an imposing and substantial detached house (former hotel) located on the edge of the sought after village of Marldon which offers a wide and varied range of shopping facilities and amenities including Primary School, local shops, Village Church and Inn and a bus route connecting the town centres of both Paignton and Totnes. There is also excellent access to the ring road for commuting to Torquay and further afield. Features of the spacious accommodation include entrance porch plus reception hallway with doors leading to the principle rooms including lounge with wood burning stove and doors leading out to the rear garden and patio. There is a separate sitting room/fourth bedroom and a dining room. 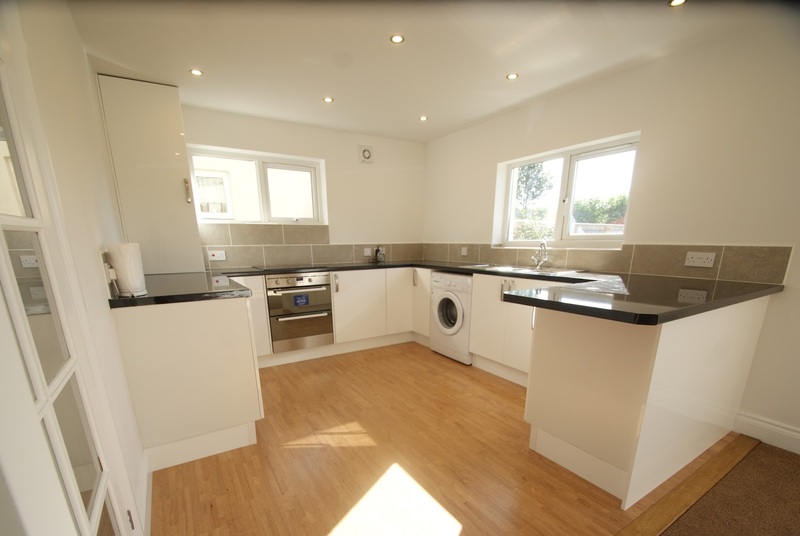 Also on the ground floor is a modern fitted kitchen with quality units, laundry/W.C and useful storage rooms. On the first floor there are three bedrooms including the master bedroom which has an en-suite shower room/W.C, and there is also a family bathroom. 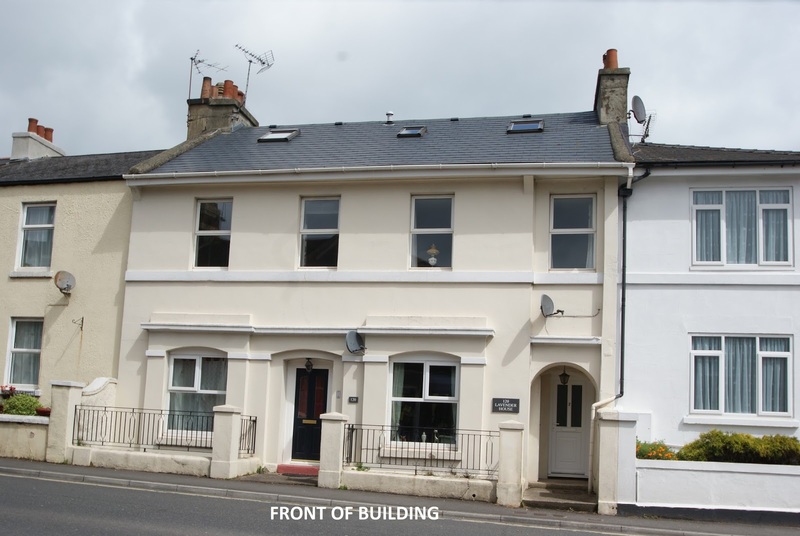 Attached to the property is a self-contained apartment which has a private reception hallway, 20ft lounge/dining room, fitted kitchen plus two bedrooms and a bathroom/W.C. The apartment would be ideal for extended family or for renting out for additional income. Outside there is extensive parking for a number of vehicles to the side of the property and apartment, there is a large timber built garage/workshop and in 2015 the rear/side area of the property has been transformed into a level lawned garden with an attractive paved patio area, outside dining area with feature barbecue. An internal inspection of this gas central heated and double glazed property is highly recommended to fully appreciate the accommodation offer. In an enviable location close to Walls Hill Common, Babbacombe Downs and local shops, this well presented top floor flat briefly comprises entrance hall, open plan sitting room/dining room and kitchen, two bedrooms and a bathroom/WC. The property is complimented throughout with uPVC double glazed windows and gas central heating. Outside is a communal garden, communal bin store and two allocated parking spaces. The property would make an ideal investment/first time buy. 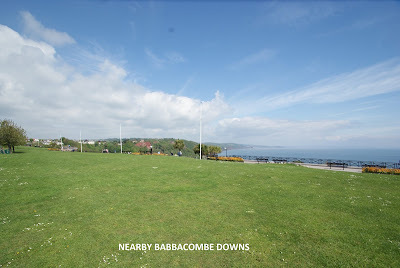 Immediately adjacent to the parking area is Walls Hill Common and the amenities of local shops and Babbacombe Downs are only a short distance from the property.